This week we are continuing our series on the active nonviolence of Jesus. In this second part, we are going to look at what scholars today call the Constantinian shift on this topic within Christian church history. As we shared last week, for three hundred years until Constantine, Christians, although they rarely agreed on any other topic, spoke with a unified voice on this topic, without one dissension. There was unanimity of opinion: Jesus’ teaching on this topic was pretty clear. They rallied around the Latin saying patientia (patience), by which they meant patiently enduring evil so as not to commit it, rather than committing evil so as not to endure it. They sought to do anything to avoid killing, as that would destroy their witness for Christ. Dying, however, was perfectly acceptable. In fact, they viewed dying as possibly one of the best ways to witness for their faith (“dying well” in love for their enemies). Thus, the word martyr, which originally meant simply “witness,” came to be synonymous with someone who witnessed for their faith through dying. Notice what Tertullian is really saying. If we don’t even call on the sword to avenge our own wrongs, how can we wield the sword in union with a kingdom of this world? Again, with “by word” Arnobius here is referring to holding a political office. Up until Constantine, Christians were not trying to tell Caesar what to do; they were simply trying to live out the gospel of Jesus’ Kingdom. About a hundred years after Constantine, we find that it was illegal not to be a Christian (with an exception for Jews) and you could not serve in the military unless you were a Christian. (You were not trusted as loyal unless you were a Christian.) How did Christianity get there? Various theories today exist in interpreting these reports. Some view the reports of this vision as legend with no historical basis whatsoever. Others believe Constantine made up this story after the fact, being the great political strategist he was and seeing that the only way to defeat Christianity’s influence and threat to Rome was to somehow unite Christianity with Rome itself. Others believe the vision happened, but that it was a vision from the Devil. And finally there are some who interpret this vision as genuine, but intended to communicate to Constantine that he should lay down his sword and embrace non-violence of the Christian Cross instead. This interpretation sees this vision as genuinely from God in an effort to reach Constantine, but a vision that was nonetheless misinterpreted by Constantine and taken to mean just the opposite of what was intended. Each of these theories is speculation, including the popular interpretation of that time, which was that the vision was genuine and that Jesus was actually supporting the conquests of Rome. What we do know is what happened within Christianity for the first time in Christian history as a result of Constantine’s “conversion”: The minute you pick up the sword you lay down the cross. Jesus and His teachings would take a seat on the sidelines and the example of figures from the Old Testament began to take center stage. David and Joshua and others became the heroes of the faith rather than Jesus. How did we get there? Early in the fourth century, Constantine was witnessing a very real threat to Rome. Christians (who were pacifists without exception) only made up a portion of the Roman population, but they were growing at an exponential rate. Persecution and death only served to fuel the Christian fire! This was proven by the Emperor who preceded Constantine—Diocletian. The more Christianity was crushed, the faster it grew. If Christianity continued it would inevitably overthrow the stability of Rome. Note that Constantine saw that pacifism was going to win: This should make us sit up and pay attention. Christians were still paying their taxes, but if everyone became Christian (and thereby pacifists) who would Rome have left to fight its wars and defend its borders from its many continual attacks? What was Constantine’s solution? He decided to back what he perceived to be the winning horse. Christians not only died well, they lived well. They would provide fortitude and stability to Rome and could unify the kingdom. But first, Constantine had to remove the obstacle of pacifism. Church and State had to become unified, and violence in defense of both Church and State had to become justified. Watch closely how Constantine pulled this off. Constantine declared Christianity a religio licita (a legal religion) through the Edict of Milan, immediately reversing any ongoing persecution. He lavished gifts upon all Church leaders (e.g., increasing their salaries, exempting them from paying taxes, building church buildings, funding Bible copying, etc.). For the first time, Church became a building rather than a group of people. Crucifixion and gladiatorial games were abolished because of the traumatic connection with Christian victimization. Sunday was declared a weekly holiday for all people. Pagan holidays were absorbed into the Christian calendar. Pagan temples were converted into Church buildings, with statues of Roman gods replaced by statues of the Apostles and other biblical characters. The Church became a friend of the State. Constantine employed some of the greatest minds in Christianity to come up with Biblical support for this new turn of affairs. Enter Augustine (354 – 430 C.E.) and, later, Aquinas (1225 – 1274 C.E.)! Augustine, the brightest theological mind of his time, rose to notice. He developed and defended a “justified violence” theory for Christians, based upon existing Roman and Greek thought. Christians were now encouraged to join the army and to become involved in government. Violence was to be used as God’s instrument to “punish” evildoers (e.g., Romans 13:1- 7). Augustine saw punishment as a more justifiable motive than self-defense. And by 416 C.E., all Roman soldiers were required to be Christians. Up until this time, “pagan” (Latin, paganus) simply meant civilian as opposed to soldier. It came to mean non-Christian as opposed to believer. He knew Christians preached peace, but for the first time in both Christian orthodoxy (right belief) and orthopraxy (right behavior), peace as an end was separated from peace as the means. War was doing others a favor. Augustine taught that, yes, it’s better for people to come to worship God on their own rather than being tortured or threatened with violence, but just because some will choose Him on their own doesn’t mean that we shouldn’t force others to worship Him. (Think about this complete disconnect from the teachings of Jesus.) Augustine, in his writing, turns more and more to the Old Testament and then embarks on desperate attempts to find some clue in the teachings of Jesus that indicate that Jesus really didn’t mean what He taught in His very clear teaching on the “way” of peace. (We see this exact pattern followed today without people realizing exactly what they are doing—exalting the Old Testament over Jesus, and twisting the words of Jesus to mean something other than their natural implication.) 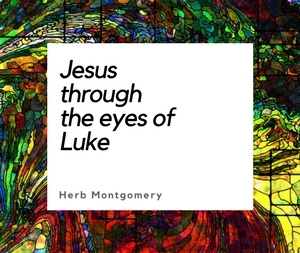 The best example of Augustine’s desperate exegesis is Jesus’ parable in Luke 14. Augustine basically argued, “See? See? Even Jesus said we must compel others to come in!” This was the best that Augustine could do! When Jesus said “compel,” He meant threaten them with violence, kill them, torture them, but get them to come in! (See my presentation A Formal Apology for the non-violent background and definition of this word “compel.” It denotes humility, a begging, a pleading, but never with violence. See also 2 Corinthians 5:14, 15.) Over and over, Augustine performed an exercise in desperation to make Jesus contradict Himself. These desperate explanations became the norm in Augustinian thinking and rationale. Augustine also exhibited typical, dualistic Platonic (Hellenistic/Greek) thinking, which sees the body as separate from an immortal soul. (This was in opposition to the more holistic philosophy of the Hebrews.) Therefore, you could do whatever was necessary to someone’s body if it saved their soul. Augustine would go on to teach that killing someone was justified if that was the means whereby you saved their soul. He taught that it was acceptable to run your enemies through, as long as you did not kill them with hatred in your heart toward them, for Jesus taught us to love our enemies. Augustine devised, for the first time in Christian thinking, a religious philosophy that justified saving souls at any cost, even by means of torture and violence. Augustine taught that the Christian response to torturing confessions out of others was that the Christian should simply “cry fountains of tears” for this “necessary state of affairs,” but never did he stop to consider that torture itself might be wrong. This was the origin of Christianity embracing “justified violence” or as it is called today, the “just war” theory that is the popular position of our contemporary, Americanized, evangelical worldview. Today we live in the echo of the Constantinian shift. Christianity and its Lord (Jesus) fell victim in the same way as all the other religions taken in by Rome. This pattern can be seen, for instance, with the Greek gods. When the Greek gods were embraced by Rome, their appearances in the pictures and the statues changed. Under Roman influence, for example, Zeus (Greek) became Jupiter (Roman name.) But it wasn’t just their names that changed; their attributes changed, too. Under Rome, the Greek gods became more warlike. In the stories they became distant, not mingling with mortals as much. They became harsher and more powerful. They came to stand for discipline, honor, and strength. The Greek gods, once Romanized, ceased being friendly and became violent. For instance, Hypnos, god of sleep, didn’t do much in Greek times. In Roman times though, he was called Somnus, and he liked killing people who didn’t stay alert at their jobs. If they nodded off at the wrong time, they never woke up. This same exact pattern took place as well with the Christian God—Jesus. It takes a great, determined effort to step back from our cultural, “Christian” assumptions and look, as openly and honestly as possible, into the actual teachings of Christ before the influence of Constantine. We must strive to gain perspective, and to shake off the influence of centuries of thinking that has eclipsed the plain teaching of Jesus. If the bloody violence of Christianity’s history has taught us anything, it is that we must stop uncritically accepting a theory of justified violence. This series is a call to those who bear Christ’s name to be willing to stare into the actual teachings of Christ and follow Jesus’ teaching wherever it leads. Through this series, Renewed Heart Ministries and I are inviting all Christians to reject Constantinian Christianity. This is not a matter of rejecting one denomination in favor of another (trust me), but rather rejecting a mentality that has gone unchallenged for too long. Nonviolence was a radically central element of the Kingdom Jesus came to establish. It was the outflowing of His own understanding of the Character of His Father. In a world wracked by religious violence, never has there been a better time for Christians to repent and begin following Jesus again. In short, what is your picture of God? Next week we will begin our actual look at Jesus’ Kingdom and exactly what Jesus taught on this subject. Before then though, strive to remain open. Do not respond with emotionally charged objections or questions. Let’s begin actually looking at what Jesus really taught next week and simply allow the answers to surface. We’ll look at the questions that revolve around how to apply Jesus’ teaching afterward. Let’s first start with Jesus, not just as our Savior, but as our Lord, following the “lamb” wherever He leads. Our Lord is not to be a philosophy, not politics, nationalism, religious tradition, nor even the impulse toward self-preservation, but our Lord is to be simply Jesus and Jesus alone. As we begin looking at the teachings of Jesus, it is my prayer that we will exercise reasoning, given this week’s eSight, that is not clouded by the assumptions of Augustinian thinking. Keep living in love and building the Kingdom.